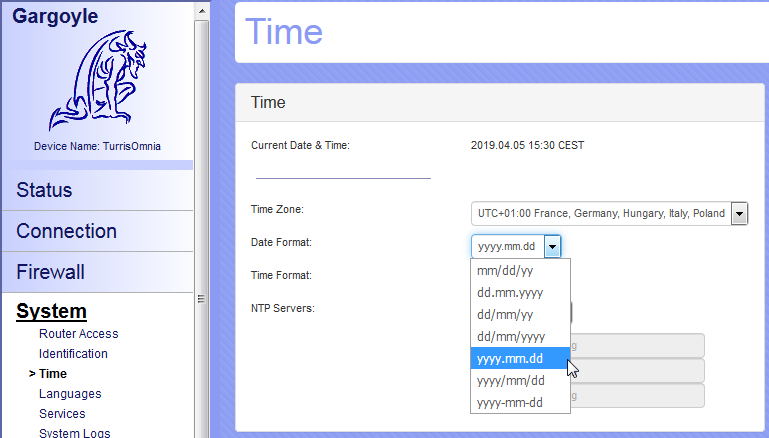 ViBE wrote: may i already noticed, not sure: on the bandwidth site if i set the time frame to months it shows the date in mm yyyy format. is it possible to swap this too? in hungarian we use yyyy mm format. aligning this column to the left would be also cool. You will find it already in the latest beta versions. EDIT2: If I set the date according to the 1st screen, the value in the 2nd screen is unchanged. EDIT3: and according to the third screen, it didn't change (only . to /), but the order remained. You may need to go through all the sections where the date and time is. Last edited by RomanHK on Fri Apr 05, 2019 10:20 am, edited 3 times in total. I understand the issue now. I’ll look at it later. I believe all of the dateformat issues should now be fixed. If you spot more please let me know. P.S - C60 MIMO vs C60 ,or others MIMO vs normal model. ghorvath wrote: Anyone was able to reproduce this? 2nd didn't help, 3rd never was an issue (laptop is less than 1m away from router). Reinstall and doing all setting manually seems to have fixed the problem for now. Install on a Western Digital N750 without issue so far. I have a pretty basic setup but seem fine. I also have TP-link WR-1043ND v1 as a backup which I update too. For curiosity I am wondering which one is the better router. The WD has the 5 Ghz band and more memory but the TP has 3 antennas for wi-fi. mrouilla515 wrote: Install on a Western Digital N750 without issue so far. I have a pretty basic setup but seem fine. If I remember correctly, the My Net 750 has 6 antennas wi-fi. Anyway, WD is much more powerful than 1043ND. Last edited by RomanHK on Fri Apr 19, 2019 8:27 am, edited 1 time in total.